Just a block from UTS, the huge display of Sriracha chilli sauce bottles hints at Fast Pho’s back-to-basics attitude. The décor is simple and modest wooden furnishings occupy the reasonably large dining area. 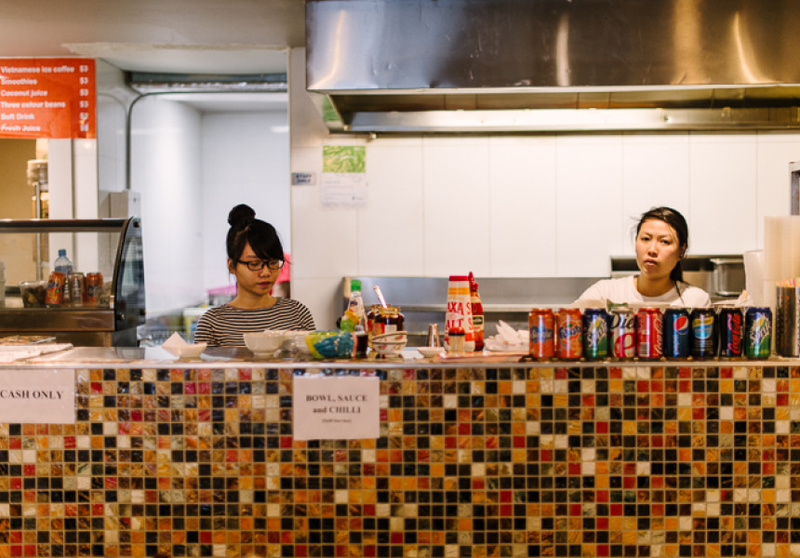 A testament to the no-fuss protocol here, menu items are displayed as photo prints on the wall, and though the selection of Vietnamese eats is minimal, the flavours most certainly are not. 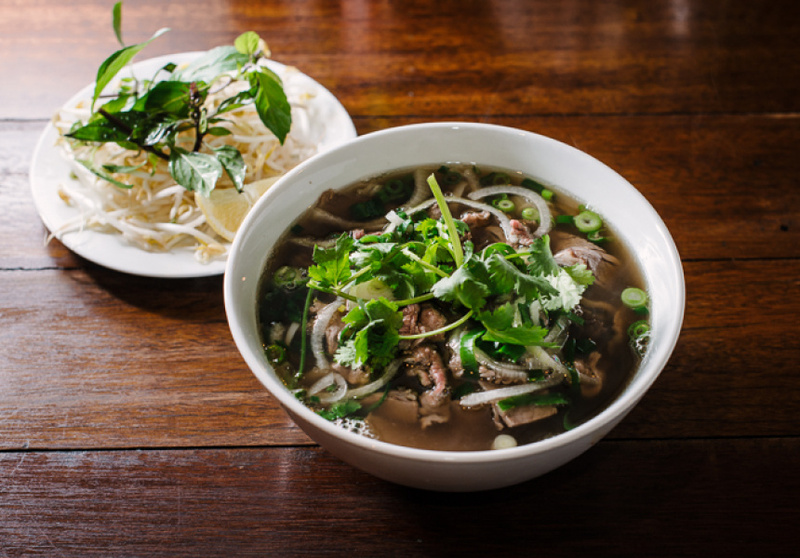 Beef pho is an obvious favourite, comprising a large bowl of flavoursome broth, beef and rice noodles served with fresh bean sprouts. Other choices include rice paper rolls, wonton soup, noodles with sides of crisp chicken or pork chops and crisp-skinned chicken with tomato rice. The necessary staples of chopsticks, Sriracha, hoisin sauce and spicy chilli seasonings are provided on each table so you can adjust as you like. To kick start your afternoon, try a Vietnamese iced coffee, individually brewed and poured over ice, then stirred with a dollop of sweetened condensed milk. If you’re lucky, the daily special may include stewed duck noodle soup, in which the meat comes off the bone into a star anise-scented broth. 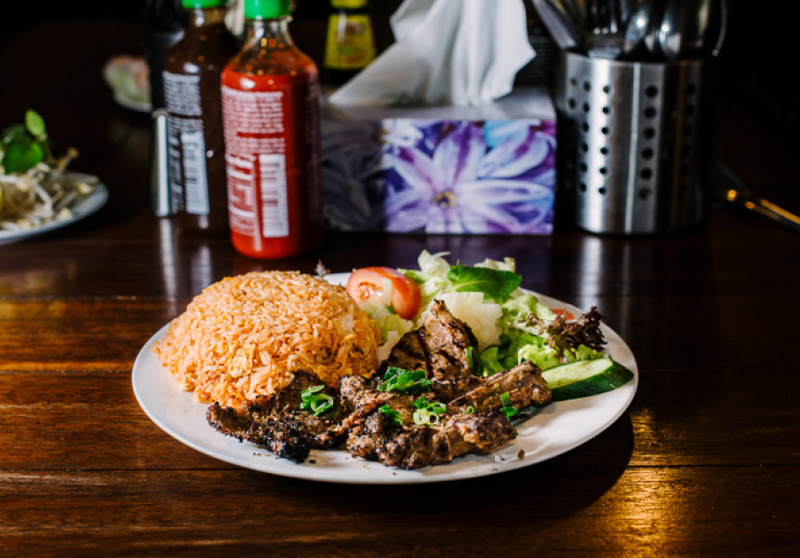 The Vietnamese owners ensure the venue lives up to its name, serving food swiftly in a no-fuss manner to a mostly student clientele. Turnover is high and the lunchtime rush is busy so get in early.